When the thrushes come through in fall, they're silent. No singing. They barely rustle the leaves. You'll see one perched inconspicuosly, high in the trees. They convey a stately peace. This is a gray-cheeked thrush. Our favorite binocular for the serious beginner is the Eagle Optics Vortex Fury 8x32. It has excellent optics, and it's smaller than most binoculars. A great bargain. 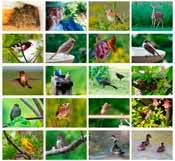 This book lets you identify all the birds in North America. 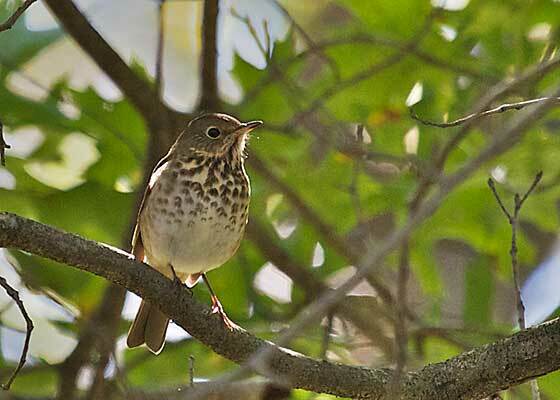 Clarifies the difference between the very similar gray-cheeked and Swainson's thrushes.